If you’re in need of dumpster rental services on Long Island, look no further than Prestige Carting. 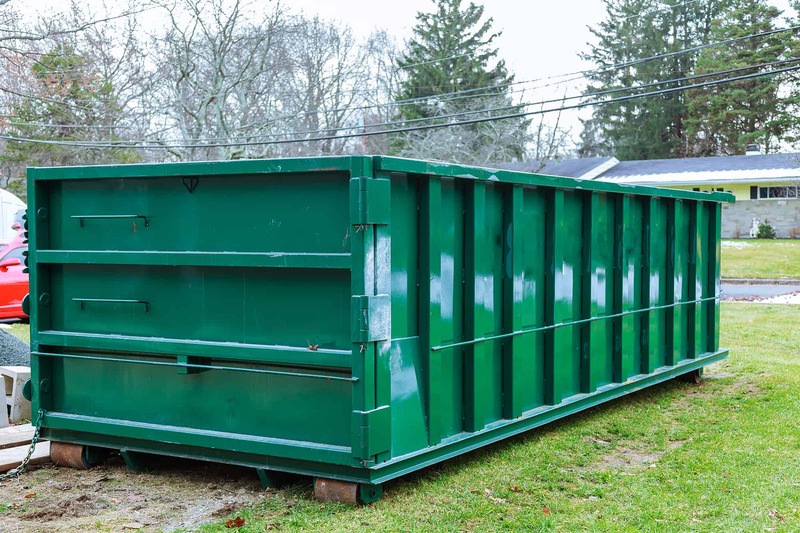 Offering varying sizes of front-loading and roll-off dumpsters that can be used to collect virtually all types of materials, no other company on Long Island makes dumpster rental as easy and efficient. Whether you’re renovating your home or landscaping your yard, when you have a project that requires debris removal, Prestige Carting has you covered! While renting a dumpster is a relatively simple process, you do want to make sure that you set yourself up for success. Accidents, issues with delivery and pickup, and renting the wrong sized container are just a few of the issues that can happen. You can avoid mishaps by taking a few important factors into consideration before you make arrangements for a dumpster rental. Here’s a look at four important factors to consider that will help make your dumpster rental a complete success from start to finish. One of the biggest issues people run into when it comes to dumpster rental is choosing the wrong size; and usually, they choose a dumpster that’s too small for their needs. Containers come in a variety of sizes and it can be difficult to determine the right size for a particular job. Obviously, the larger the dumpster, the more debris it can hold. If you aren’t sure exactly how much space you need, it’s wise to err on the side of caution and go with a larger dumpster. You might assume that there’s no way you’ll fill up a large container, but it’s surprising how fast it fills up. If you choose a container that’s too small, you could be charged overage fees, or you may have end up having to rent another dumpster. To give you an idea of capacity, a 10-yard dumpster can accommodate roughly the same amount as the flatbeds of three pickup trucks and is a good size for smaller projects, like clearing out a medium-sized basement or a small kitchen remodel. A 20-yard dumpster can hold the equivalent of six pickup truck flatbeds and is ideal for larger projects, like carpet removal in a medium-sized house or a big landscaping project. You also want to consider the debris you’re going to be putting in the container. Don’t assume that you can dump anything and everything in it. Usually, some items are prohibited, such as toxic chemicals, paint, and flammables. Additionally, you may not be able to mix certain materials together; for example, you may not be permitted to mix landscape debris with construction materials. Make sure you find out what can and can’t be placed in the container, and adhere to the dumpster rental company’s policies. You don’t want to end up making a mistake and getting charged extra. Find out about the time frames for drop off and pickup. You want to ensure that the company you choose can drop the container off and pick it up at a time that’s convenient for you. If the company can’t drop off the container at a time that works for your schedule or charges extra fees if you end up needing it longer, you may want to look elsewhere. A reputable dumpster rental service will work around your schedule to ensure the utmost convenience. After all, the purpose of renting a dumpster is to make your project – whatever it may be – easier. The location where you’re going to have the dumpster dropped off is another important factor to consider. It should be in a spot that can accommodate the size of the container and is easily accessible. While a 10-yard dumpster may be able to fit in your driveway, a 20-yard container may be too big for this spot. Additionally, while putting the container in your driveway might seem like the best idea, if it’s far away from the project site, you’ll end up having to lug bulky, heavy materials a far distance. You might want to ask the dumpster rental company for the dimensions of the container. That way you can find a spot that will fit the dumpster before you schedule a drop off. Obstructions are something else you want to keep in mind. Things like trees, shrubs, sheds, and swing sets can get in the way, making drop off and pickup difficult. Make sure that the spot you choose is free of obstructions. By considering these factors before you make arrangements for your container rental, you can ensure the process will go as smoothly as possible. For fast, convenient, and affordable dumpster rental services on Long Island, contact Prestige Carting.